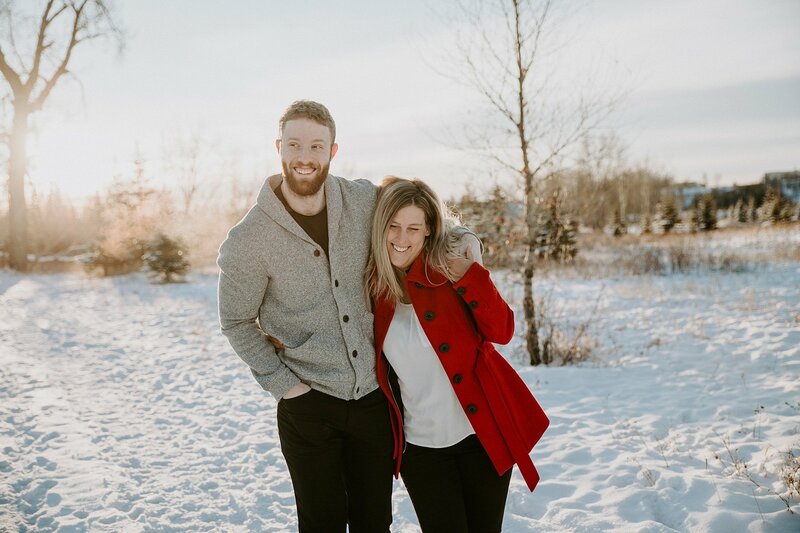 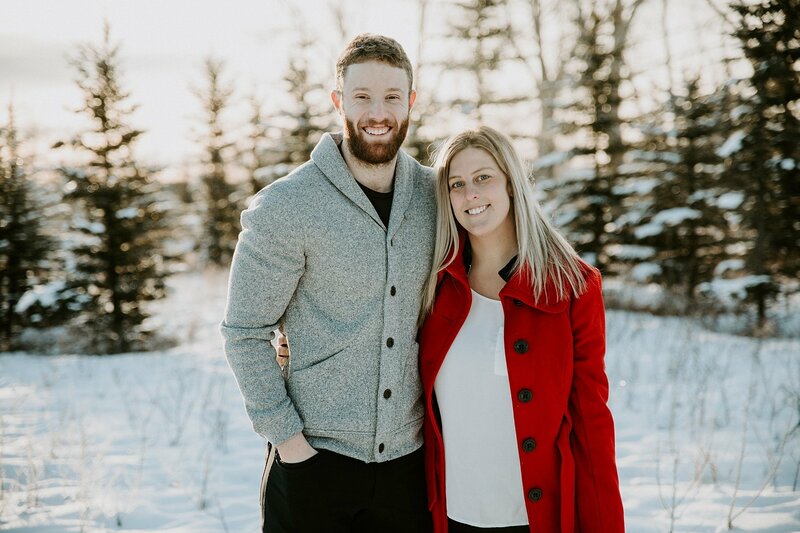 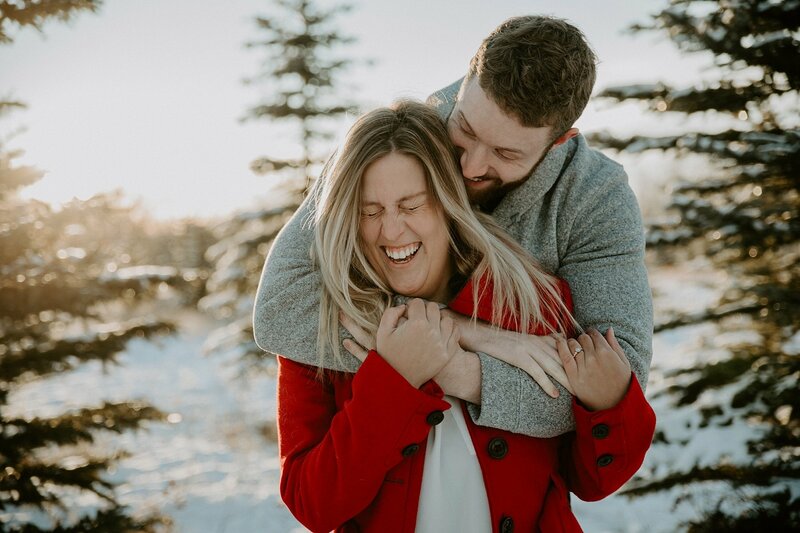 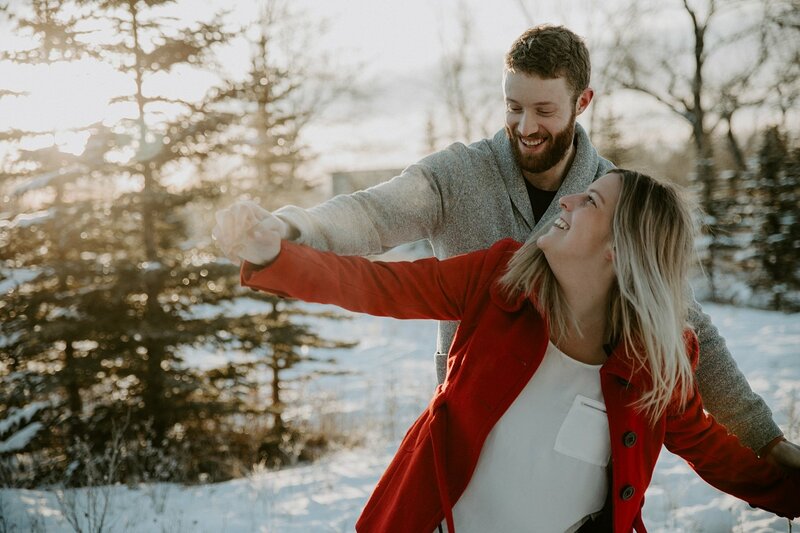 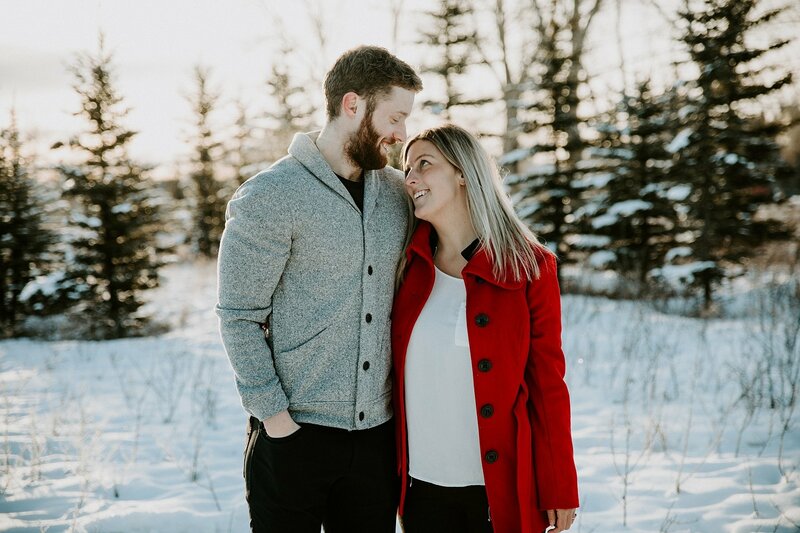 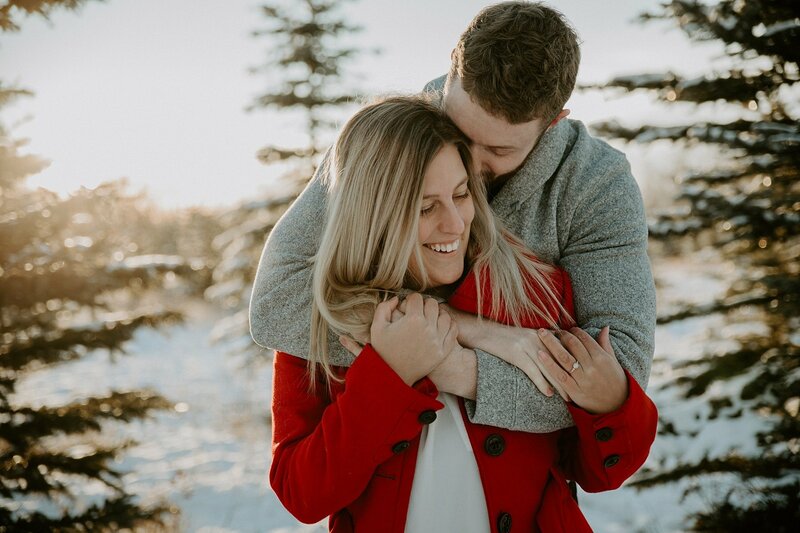 Justin & Chelsea braved the early morning cold air with us for their Fish Creek Park Engagement session in Calgary – and we’re so glad they did! 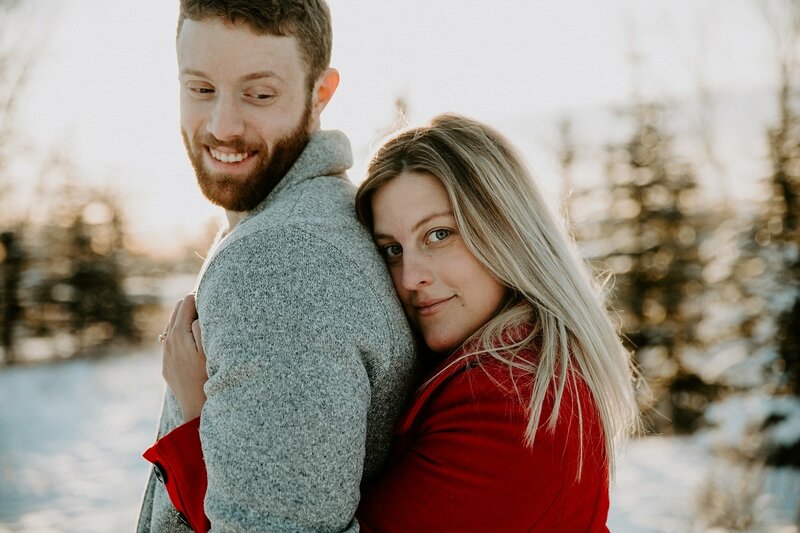 It may have been cold, but that morning light was perfect! 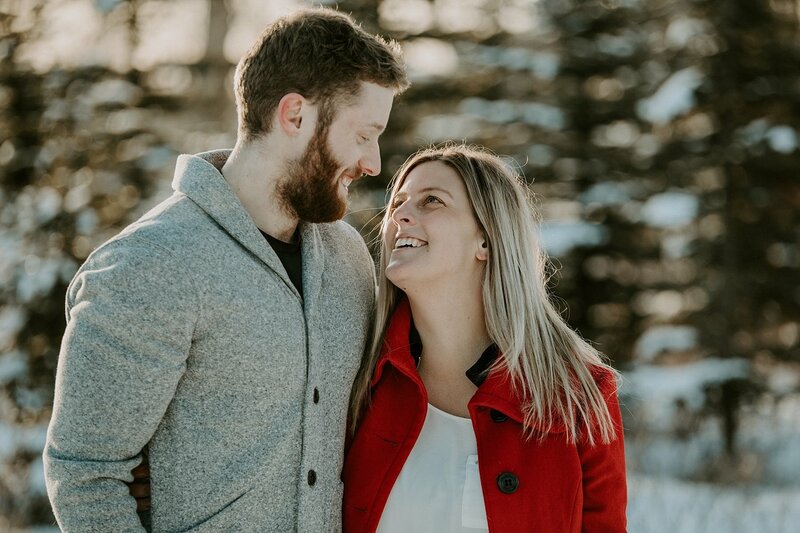 We met in Kamloops! 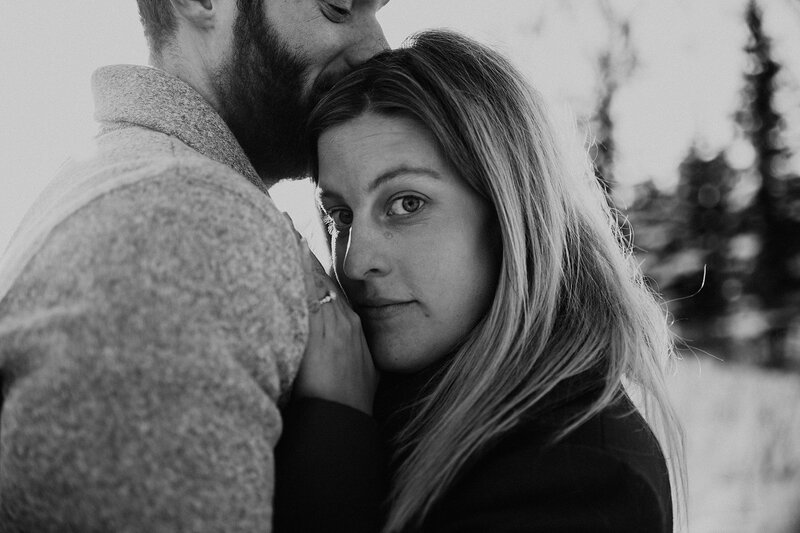 I was attending University there to get my Journalism Degree and Justin is from there. 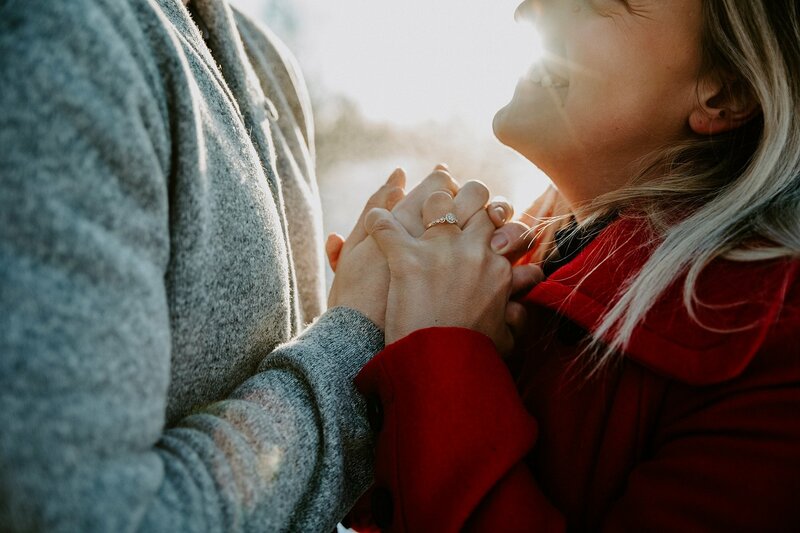 We just met randomly at a ‘dorm party.’ Romantic, I know! 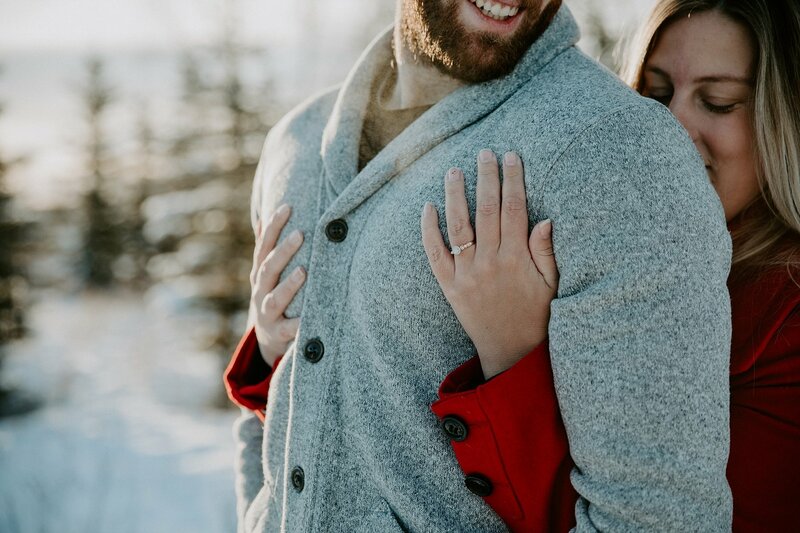 Tell us your engagement story. 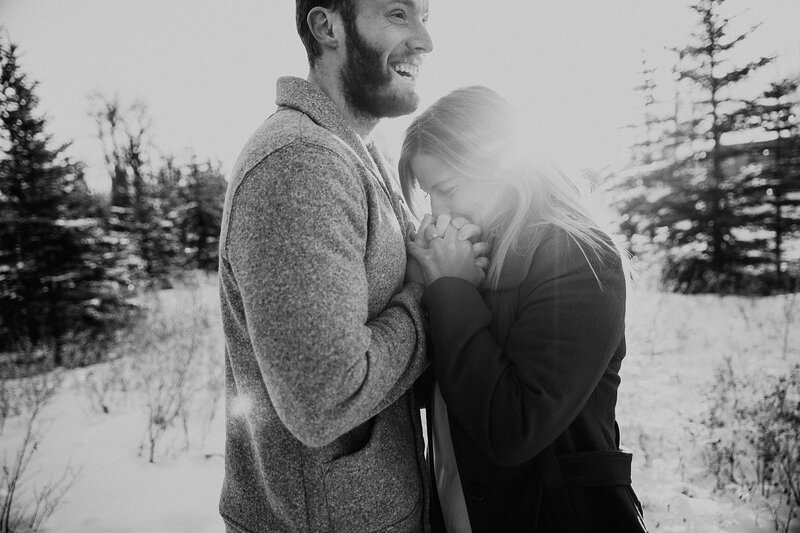 I had just got home from work one night and the entire house was lit up with candles. 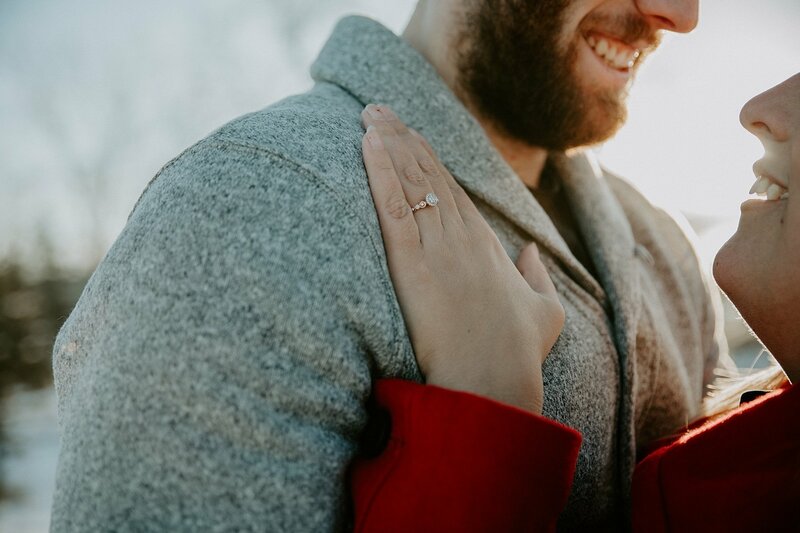 Justin was on the deck waiting for me & he got down on one knee and asked me to marry him! 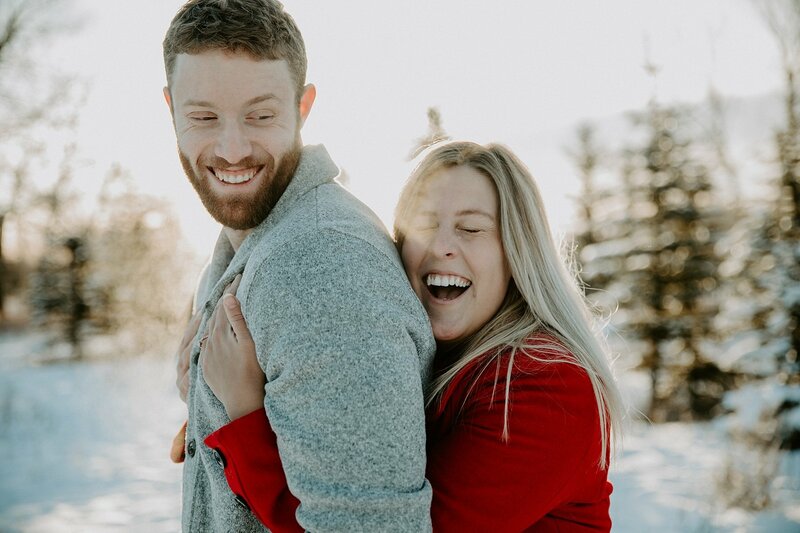 I was completely shocked and surprised, but also ecstatic. 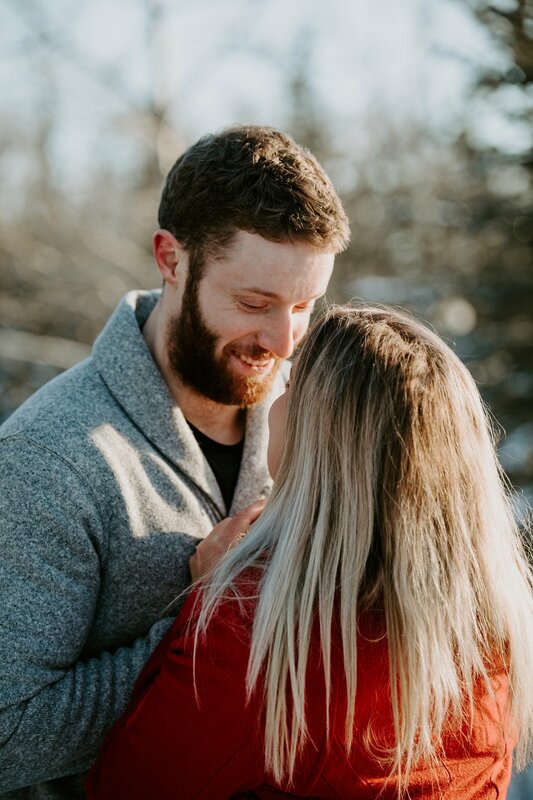 I always knew he was the one I was going to be with for the rest of my life, but making it official was such a great moment between us. 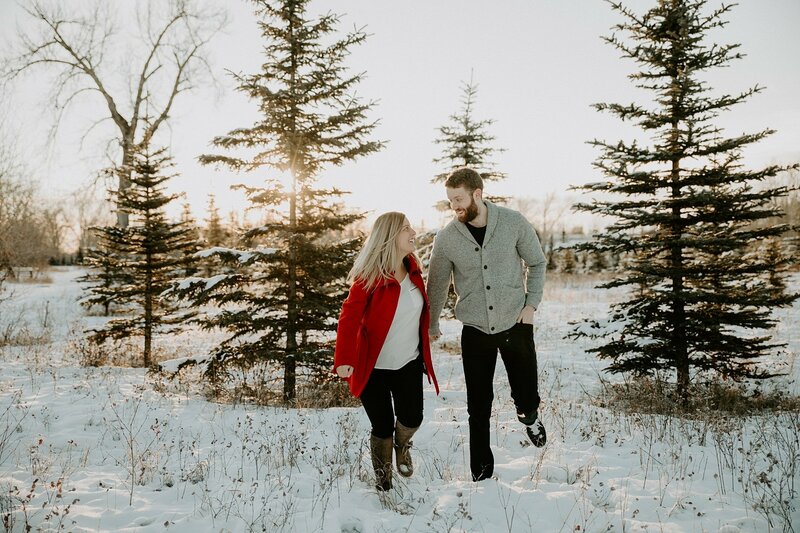 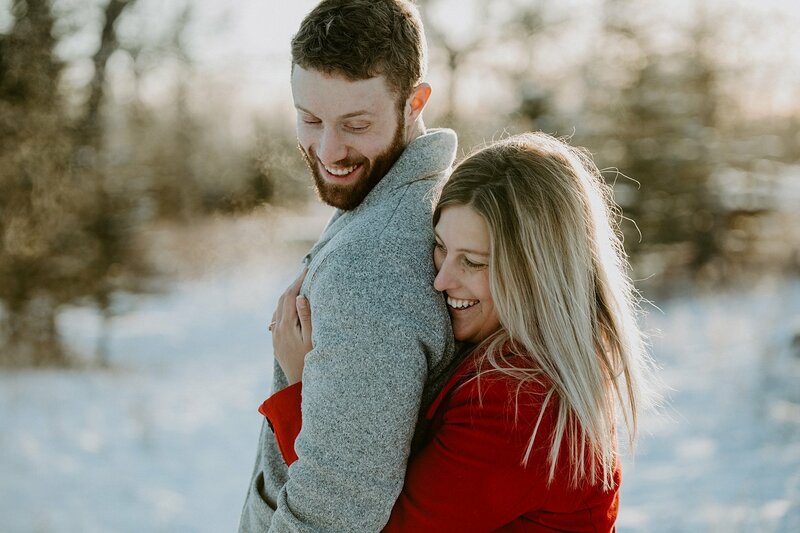 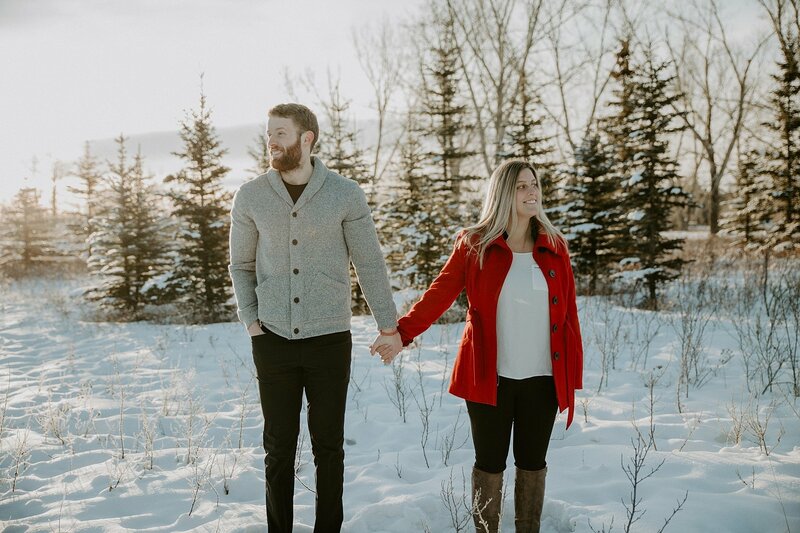 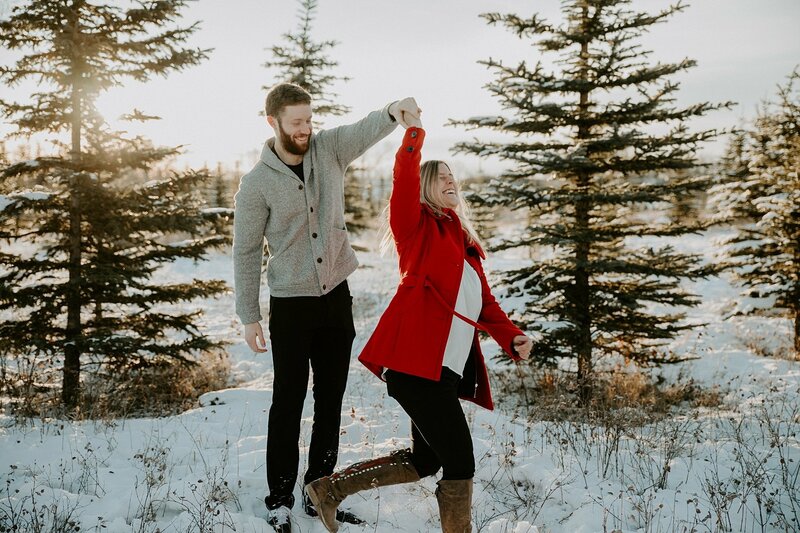 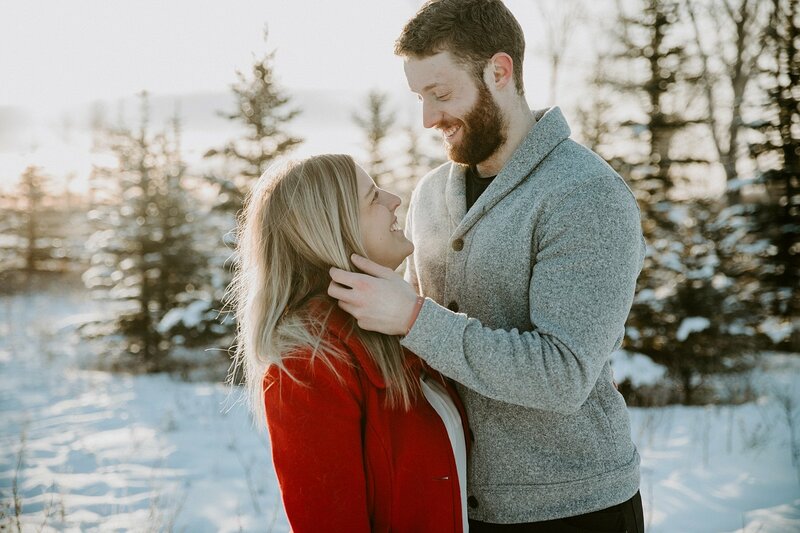 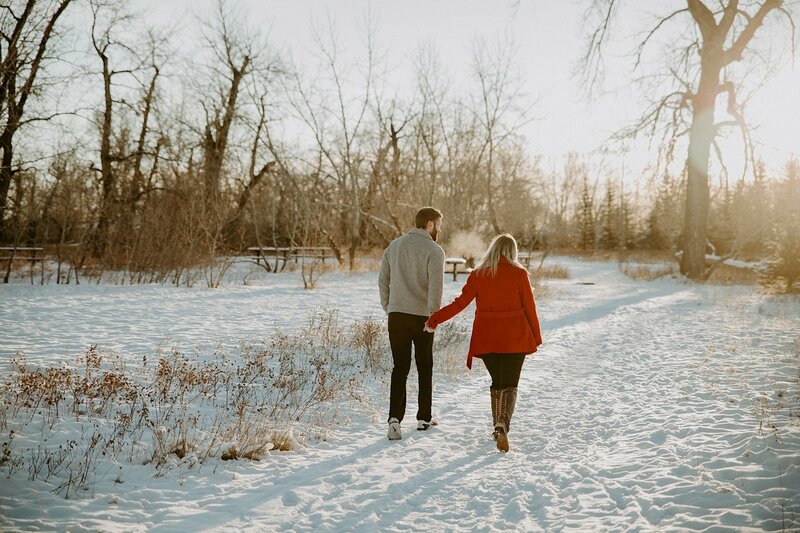 If you liked this winter Fish Creek Park engagement session, check out this fall Fish Creek Park engagement session in Calgary.